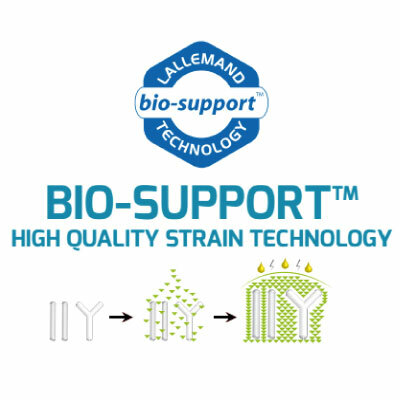 the alliance of optimal strain selection for a natural resistance to gastric acidity and proprietary protection matrix applied during the production of freeze-dried bacteria. This technology offers superior survival during the manufacturing process, shelf life and digestion. 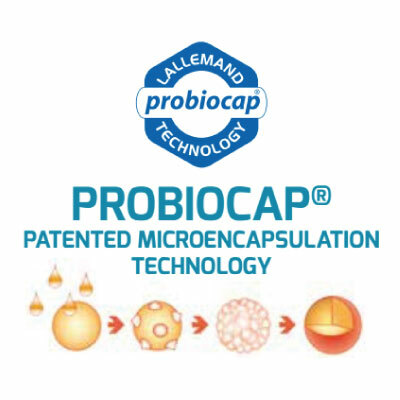 a patented probiotic microencapsulation technology, ideal in case of drastic processing conditions (temperature, compression, acidity) and versatile formulations (on-the-go orodispersible sticks, chewable tablets). 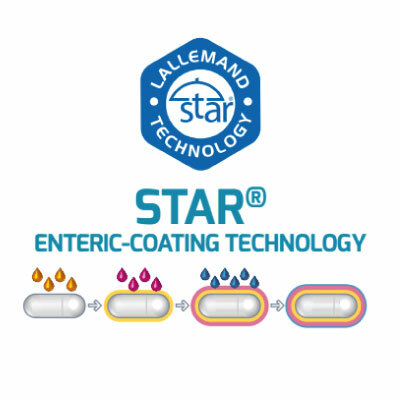 an award-winning enteric-coating technology for capsule formulations ensuring optimal delivery in the gut for all probiotic strains.